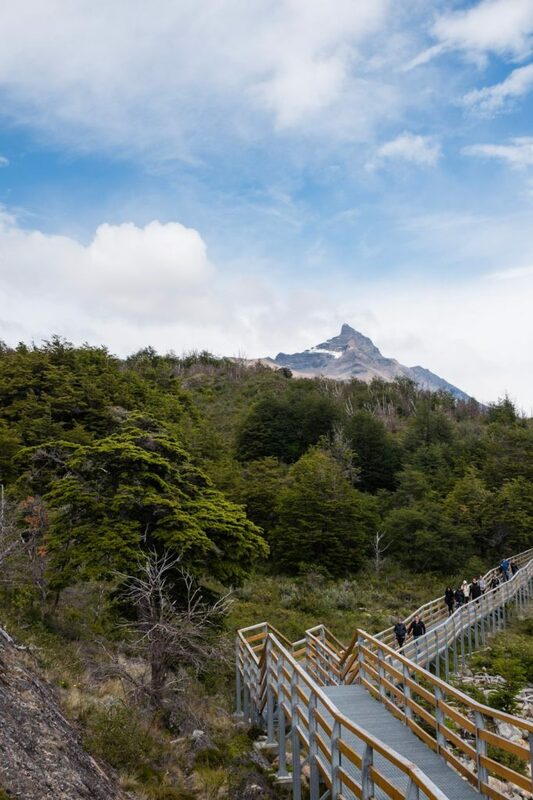 If you’re into nature and adventure, Patagonia is a must-do. Patagonia is a huge region (402,700 mi²) that crosses through the south of Argentina and Chile with the Andes Mountains dividing the border. 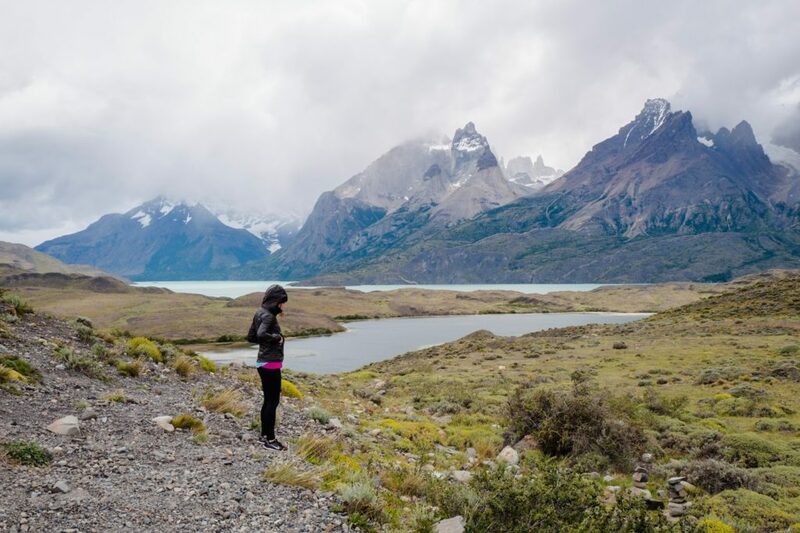 Due to the scale of Patagonia, you can experience it in so many different ways. 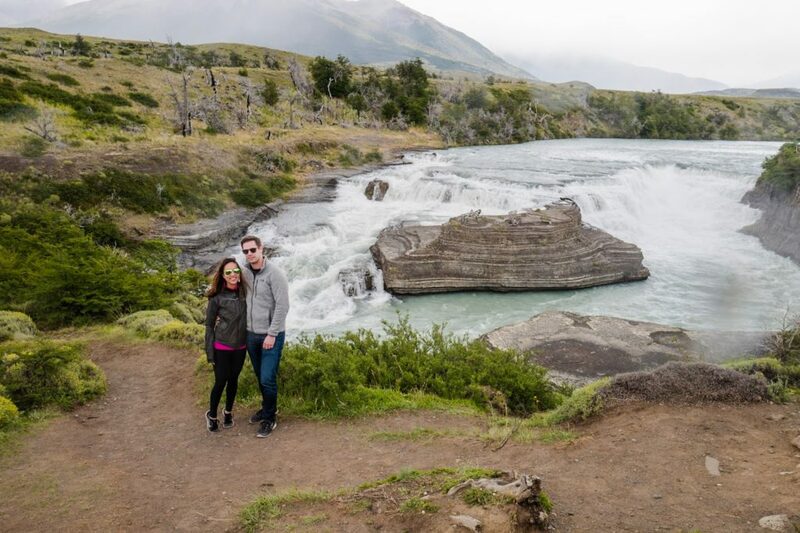 Josh and I only had 4-days to explore Patagonia so decided with the stop and go route rather than the week-long hike. We planned everything independently of each other and created our own itinerary to do all the activities we wanted to do. 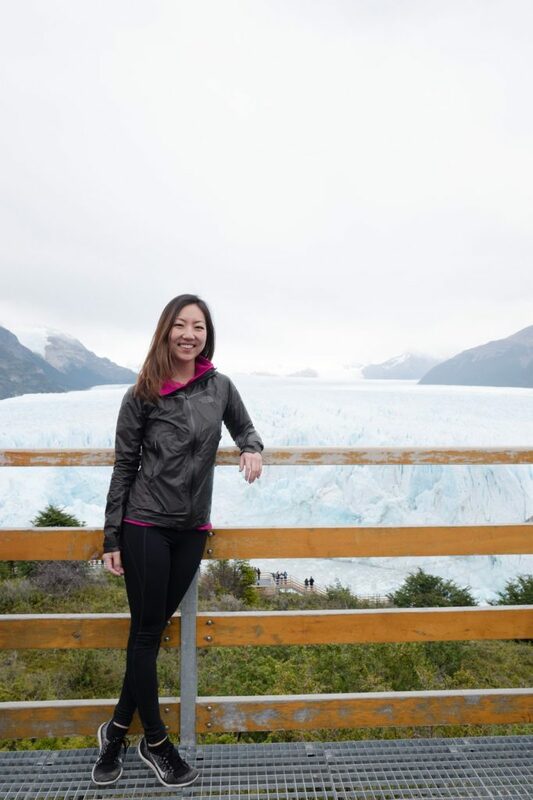 Perito Moreno Glacier and Torres Del Paine were high priority items on our list. 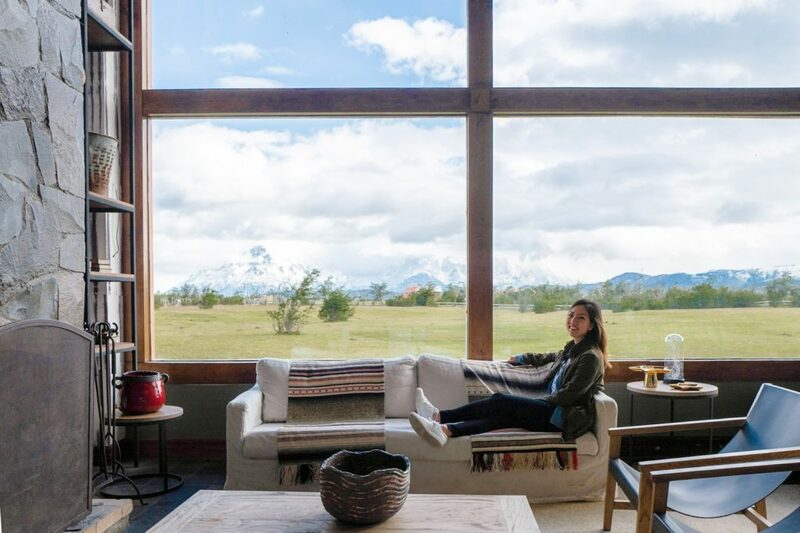 Planning Patagonia wasn’t easy, so I’d love to share my itinerary with you along with some tips. See below to see it all. There are a few small airports you can fly into to get to Patagonia. 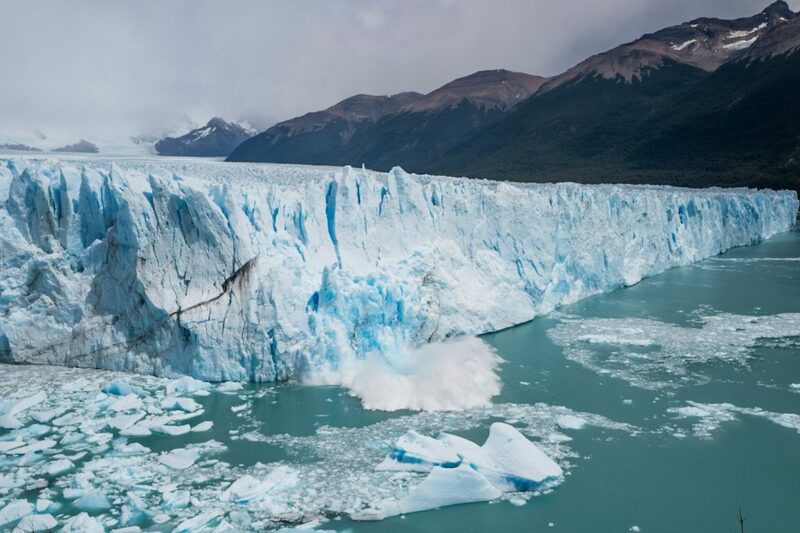 El Calafate is one of the closer ones and is where Perito Moreno Glacier is. I’d recommend flying in here. 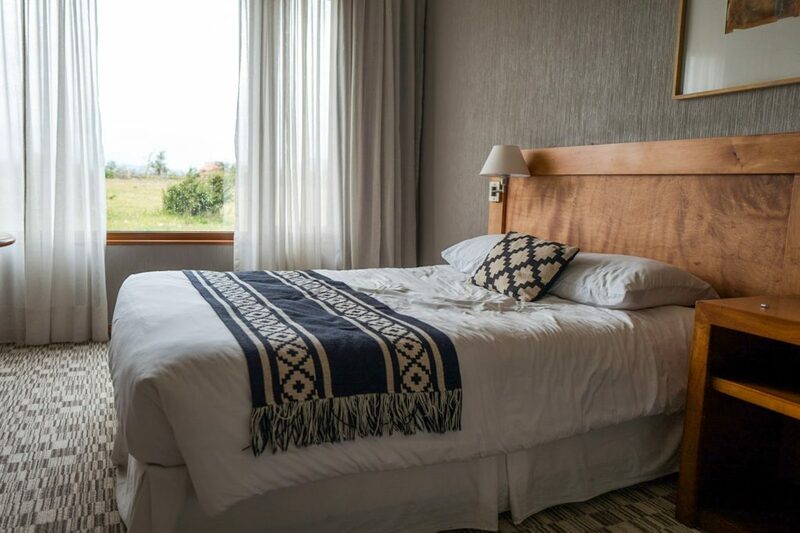 TIP: schedule a private airport shuttle or taxi to pick you up from the airport to your hotel beforehand as there’s no public transportation here. We booked the full-day tour via Viator here for $110 per person. 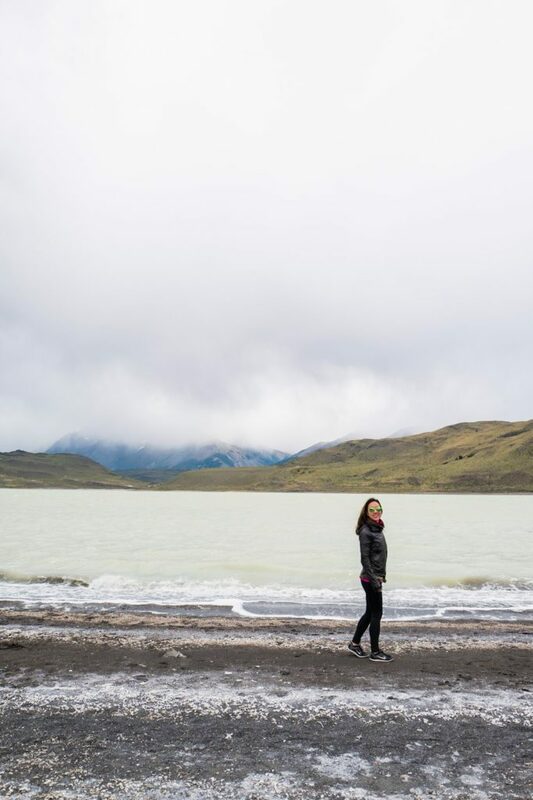 If we had more time we would have loved to do the glacier trek/hike (where you hike on top of the glacier) but we opted for the friendlier option where you go on a boat that takes you close to the glacier, then hike up paved stairs to see the entire glacier from a birds-eye view. TIP: wear layers and bring a beanie. Also, pack your own lunch as these tours take half the day and there’s not a lot of food options anywhere. If you’re in Argentina and planning to go to Chile I recommend booking a tour guide to help cross the border. 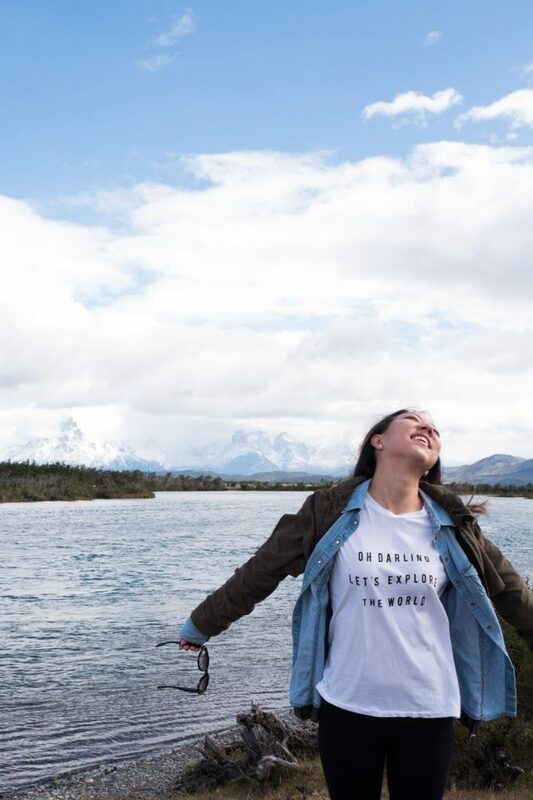 We booked the full-day Torres Del Paine tour here which includes a pick-up from your El Calafate hotel, a bus ride to Chile (they also handle Chilean customs to cross the border), a day-tour of Torres Del Paine, and a ride back to your hotel. It’s $250 per person but so worth it. TIP: Although it was summer here, the weather was unfortunately poor this day. It was cold, windy, raining, and hailing (we even hiked in the hail). Our tour guide was very accommodating though and drove us closer to the hikes so we wouldn’t have to walk as far. Since the microclimates here are unpredictable make sure to wear layers and bring a really good rain jacket with gore-tex. My The North Face GTX rain jacket was perfect. If you have luggage space, bring hiking shoes. 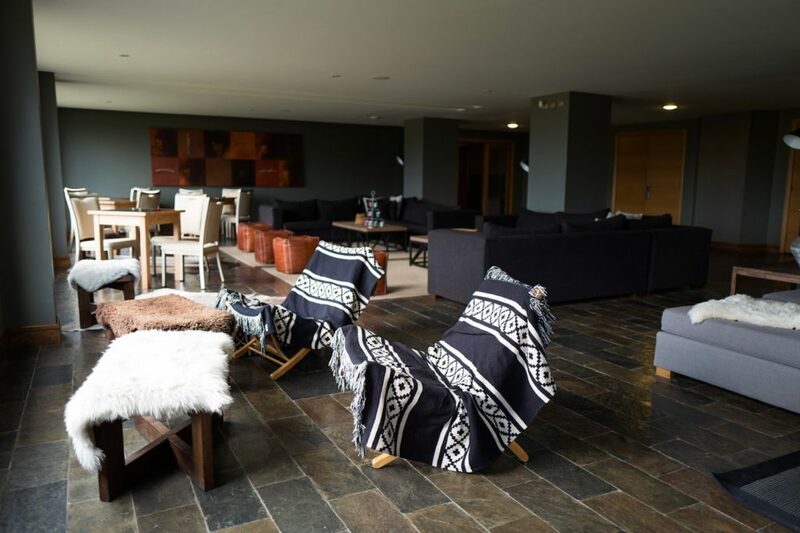 To soak up every bit of Torres Del Paine, we stayed at a Hotel Rio Serrano which is situated in the center of Torres Del Paine. It’s incredible how they managed to build a beautiful hotel in the middle of nowhere. 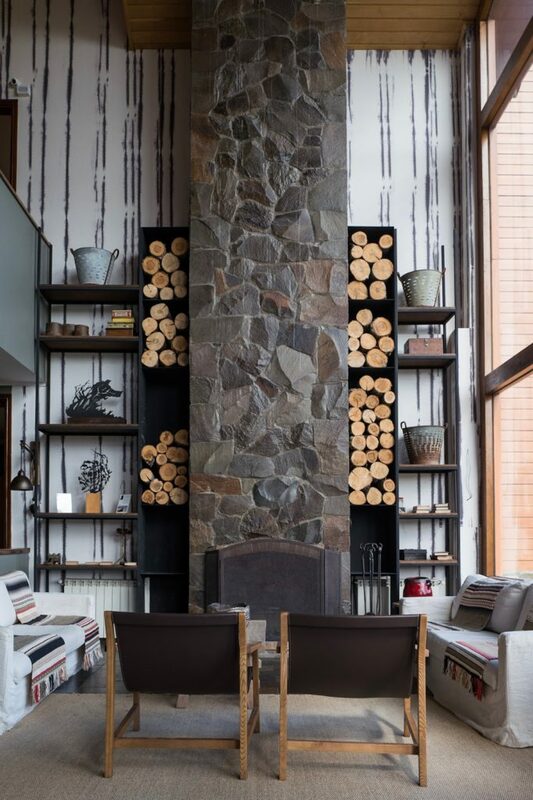 The entire hotel was super cozy and the style inspired by the ethnic roots of Selknam blended in perfectly with the Patagonian forest. It was an experience worth every penny and second. TIP: If you need Wi-Fi in the middle of Torres Del Paine, this is where it’s at. 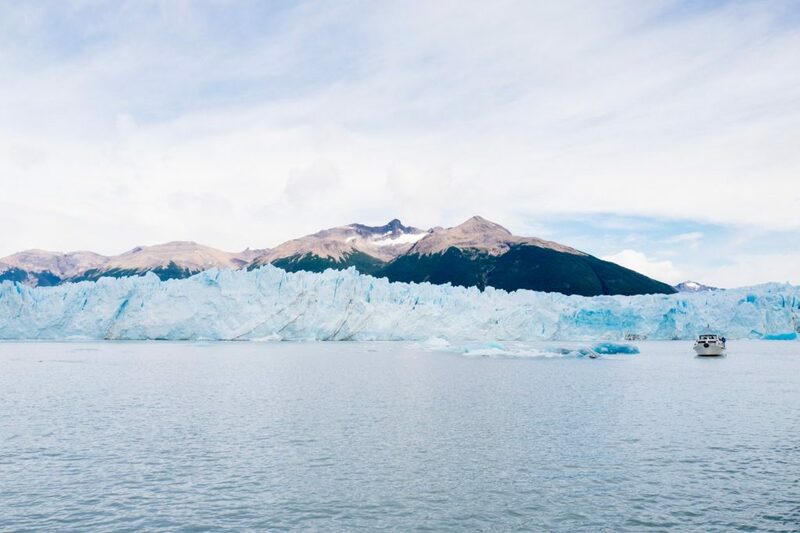 Boat ride to Perito Moreno Glacier. It was amazing to see it up so close and to be around its surroundings. The hike to see Perito Moreno Glacier from above. The entire hike is man-made and very well-maintained so hiking it was easy and pleasant. One of the “cool”est things we witnessed was seeing the corner of the glacier break off. See my instagram video here. Clear skies and 68°F temperature made this a beautiful day for glacier exploration. 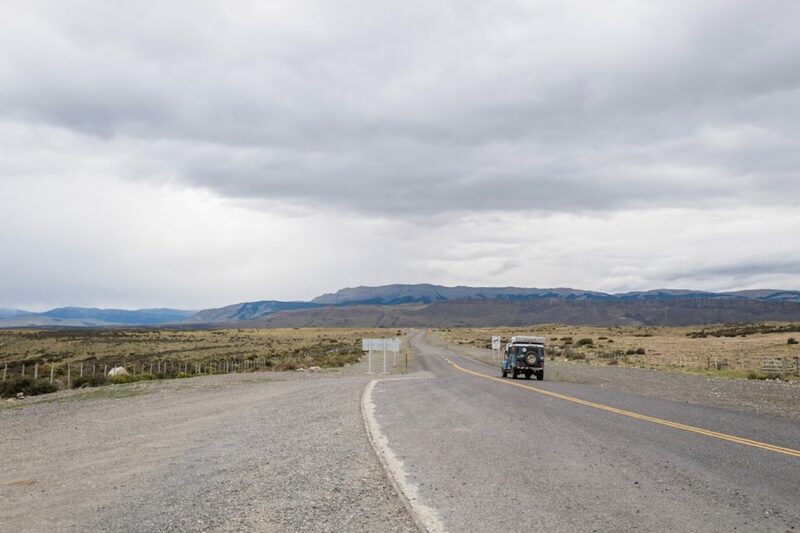 Driving through Argentina to get to Chile was one heck of unique experience. 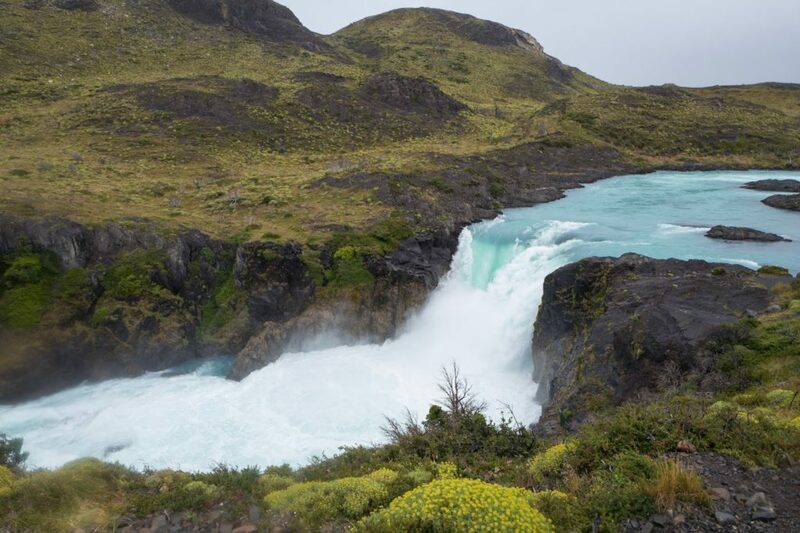 The first waterfall along Paine River located in the Magallanes Region of Chile in Torres Del Paine. It was drizzling but bearable when we got here. 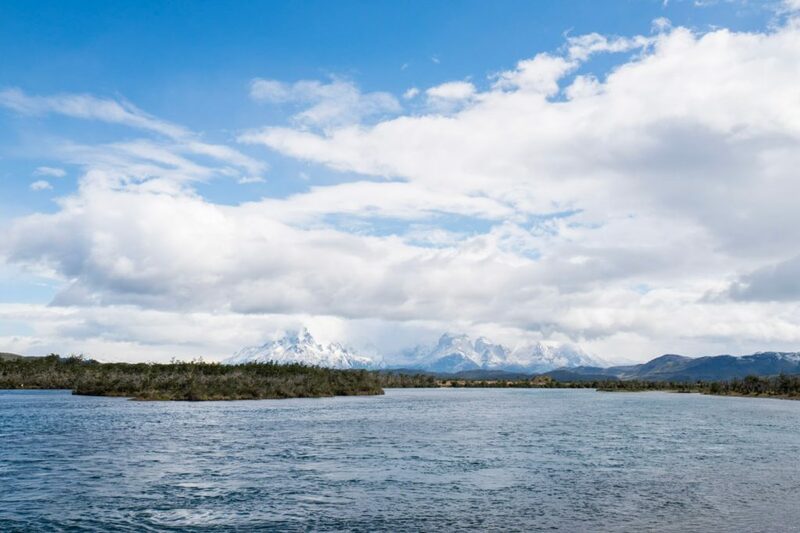 One of my favorite stops of Torres Del Paine, you can see how beautiful Lake Pehoe is along with the Andes Mountains in the back. Pictures don’t do justice for how grand the Salto Grande waterfall is. Although hiking up here was torturous since it was hailing and extremely windy I’m glad we did it. Amarga Lagoon was a cool stop, the lake is mesosaline (primarily sodium and chloride) which creates a very milky appearance. Our room at Hotel Rio Serrano. Although not pictured, there was hot tea and chocolates in the room with the sweetest note on understanding the journey it took to get here and the need to relax. I was loving all of the decor details and architectural stylings of the hotel. I really appreciated the hotels ability to provide a relaxing and restful environment at every corner. I also really liked all the aztec prints. Woke up the next day to the most perfect view and to great weather. It was a bummer we had to leave the day the skies got clear. Just steps outside the hotel is Serrano River. So clear and blue. Thank you for a beautiful time Patagonia, we shall meet again.